When we take trips to places that are culturally different from our own, the first thing we tend to notice are material differences. We compare the types of clothing and marketplaces to those we’re familiar with. For WAG member Scott Batson, his first mission trip to a small town in Nicaragua was no different. Upon returning to the United States, he vowed never to go back, thinking that the area was so stricken with hopelessness and unemployment that the people needed his money more than his help. But then, something changed. He processed the opportunity he had in the country and realized there was something he could do to make a positive change. The people there were content with the material things they had but had little options to help them meet their physical and emotional needs. That’s when he got the idea for Get Strong Ministries, a CrossFit gym in the community that uses the sport of CrossFit to help teach strength and leadership qualities. Since 2009, Scott has been making monthly visits to Nicaragua, bringing along teams of volunteers from the United States for week-long mission trips to teach CrossFit and other life skills to locals. 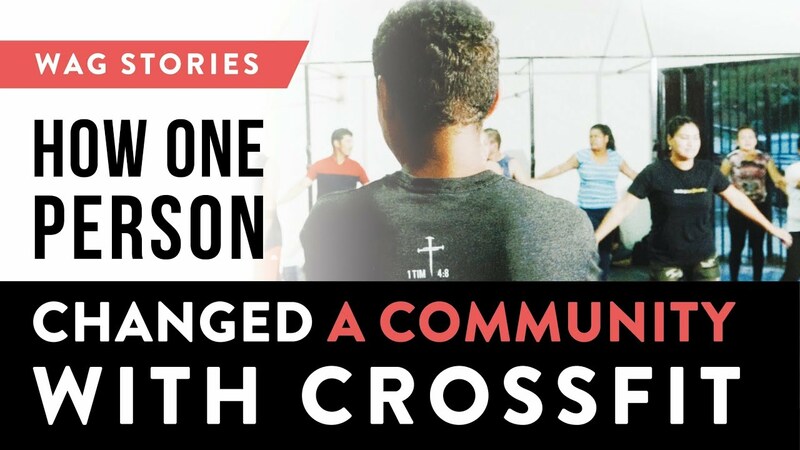 Donovan Degrie, a volunteer on one of the trips, mentions how staggering it was to him to see how impactful CrossFit is in that community. It’s the core of what everyone does there. In less than a year, they’ve grown from a gym of seven members to one that coaches 45 individuals. Ready to change your life with one-on-one nutrition coaching? Learn more.